Even though the Germans offer several top-down roadster options nowadays (reality of the folding hardtop notwithstanding), they were not historically a producer of such cars. For quite a while, the only ragtop two-seater was the Mercedes SL line, and it’s a stretch to call that a sports car in the traditional sense. For the most part, those indulgences were left to the Italians and British, who foolishly chose to bungle their automotive industries with things like Spiders and roadsters. And now look what they’ve got… right? And the Germans have assumed the mantle for both luxury and sports cars. Anyhow, you could argue the genesis of the contemporary German roadster, ignoring the seminal BMW 328 and 507, might be the Porsche 914. 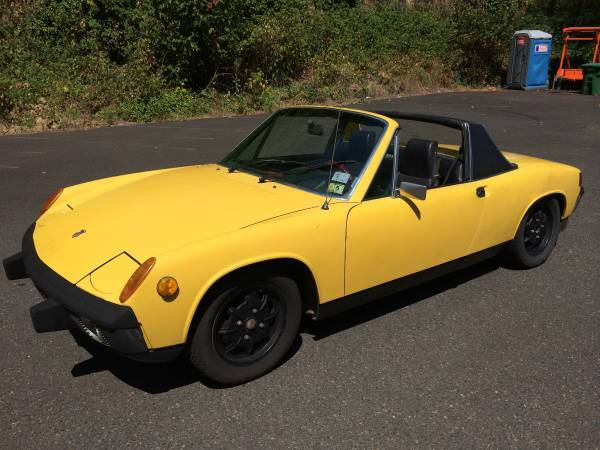 Check out this 1974 Porsche 914 for sale for $4000 in Portland, OR. Okay, if you’re being all academic about your coachbuilding, it’s not a roadster, but a mid-engine targa. But it’s arguably the first (and maybe only, depending on your defenition) affordable German roadster. And while this one is not a perfect example, it looks like it could be a great driver – it’s said to have covered 11,000 miles over the past summer on interstate trips. And that on a fresh rebuild of the (non-original) engine, so you know it’s got a decent amount of life still in it. On the down side, this is said to not be the original color, although all the underhood areas seem to be yellow too, and yellow is certainly correct for the model – perhaps the seller simply means it’s not the original coat of paint. It’s also said to have “NO HELL HOLE!”, so with any luck this car has little to no rust. On the downside, the interior is a little rough, with vinyl tape covering splits in the armrest, and cracks on the dash visible too. 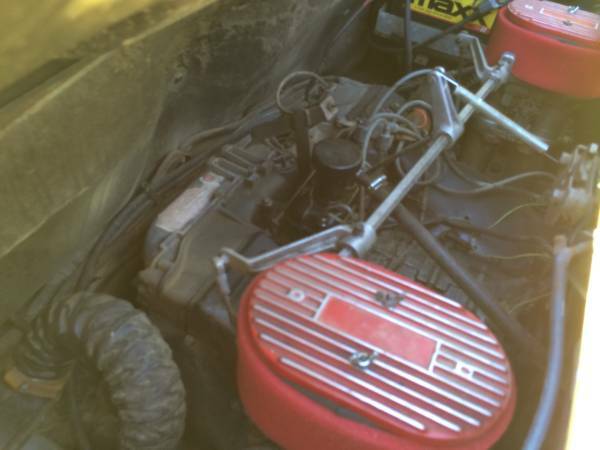 The car is fed by dual Dellorto carburetors, and seems to have developed a significant backfiring issue the last time the seller started it up. It would be interesting to hear more about how the problem cropped up – this could be something simple like an exhaust leak allowing unburned fuel to ignite in the exhaust pipe. Need more proof that deals on older Porsches are still out there? 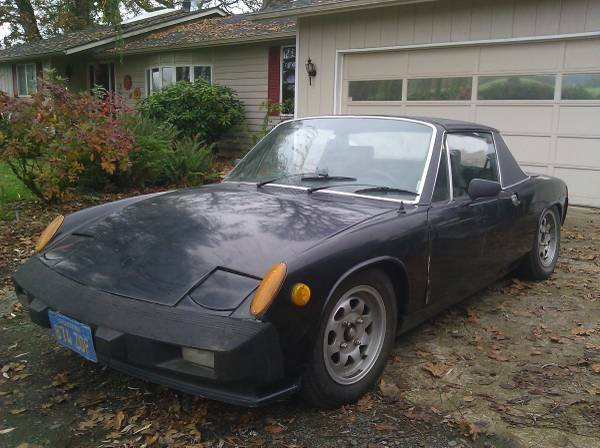 Have a look at this 1975 Porsche 914 for sale for $3250 in Creswell, OR. Looking decent from the outside, a light wet sand might do something to bring the paint’s gloss back, even if there is some chipping and flaking. 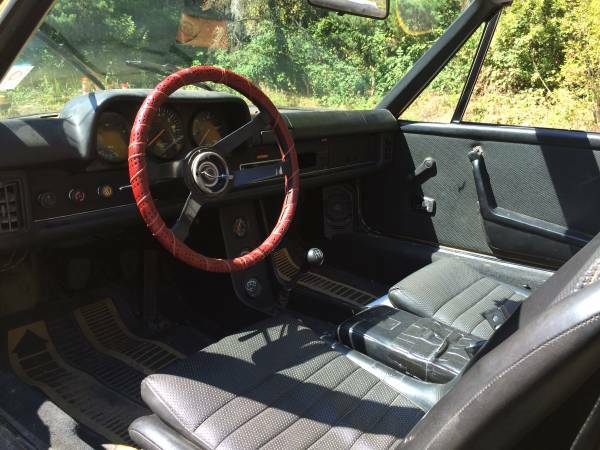 With less than 1000 miles on an engine rebuild, this car is either being sold because the seller decided to move on to something else, or because there are problems with the rebuild and he needs to unload. It sports some smart-looking aftermarket wheels commonly seen on air-cooled VWs and Porsches of the time. With a 5-speed, good tires, and the aforementioned engine rebuild, it should be mostly ready for some backroad bombing. This entry was posted on December 25, 2014 at 9:56 pm and is filed under Feature. You can follow any responses to this entry through the RSS 2.0 feed. You can leave a response, or trackback from your own site. Nice car, but parts VW at the Porsche Price !! !